One of the biggest cities in the world is Tokyo. Travelers from around the world with various nationalities visit Tokyo every day. There are many shops which welcome you day and night, and offer extraordinary experiences. Do you want to know about a quite unique Magic bar? We’ll tell you about their magic show and more. Want to know more about night spots? Check >> Let’s have a special night! Unique Izakaya・Bar 5 selection! Tokyo Ginza is a high class area and also popular among foreign travelers. Many of them enjoy dinner at luxury restaurants in Ginza. There is also a popular bar called “Magic Bar 12ji”. A well-known place that was broadcasted on TV. You can enjoy magic show with alcoholic drinks and food. Light up gorgeously inside the shop and you can enjoy magic while sitting at luxurious sofas at 32. Semi-private rooms – waiting bar room are 20 seats and perfect for smoking or taking a rest. There are also many seats and you can enjoy it in a spacious area. You also can reserve this bar from 25 persons. A wonderful experience at Ginza at night and magic show especially with your friends. 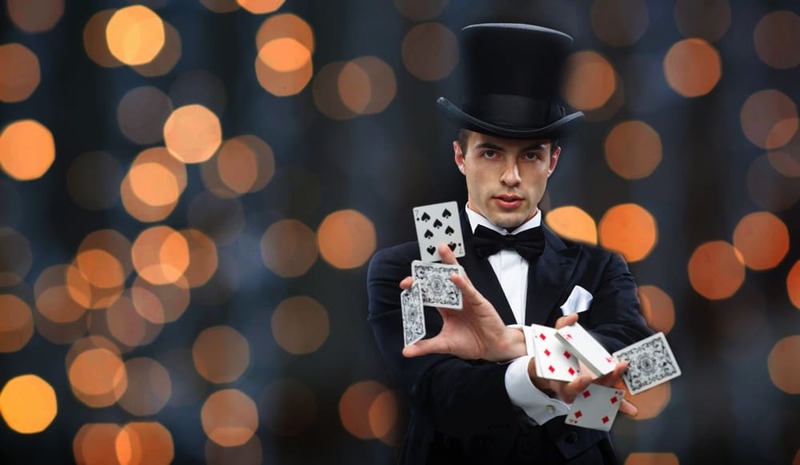 At” Magic Bar 12ji”, you can enjoy authentic magic illusion by a professional magician　who plays at luxury hotels or television shows. He might show a magic in front of you. 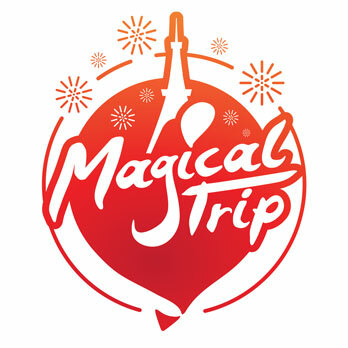 During period Christmas or long vacation, you can enjoy special magic show event from day time. You also can enjoy a rich variety of meals and alcoholic drinks. We also recommend this bar for someone to celebrate his or her birthday, with a special treatment of champagne, cake, and flowers as a gift. They also have an all-you-can-drink menu with alcoholic drinks. Nice for special anniversaries. If you want to enjoy Ginza, you should visit this bar. Illusion will give you a nice remembrance. Business Hours: 6:00 PM – 4:00 A.M.
Not only a magic bar but there are many unique bars & izakaya in Tokyo. For example, “Ninjya bar” served by ninja in a Japanese house style bar. “Train bar” for train lover’s. “Prison bar” where you can drink alcohol in the prison. And many more. There are many bars where you can enjoy all kinds of entertainment. There is also izakaya which interior has just like an old movie setting. Visit many of them and find your favorite one. Sinjuku is one of Tokyo’s buzzling areas. There are many izakaya & bars. 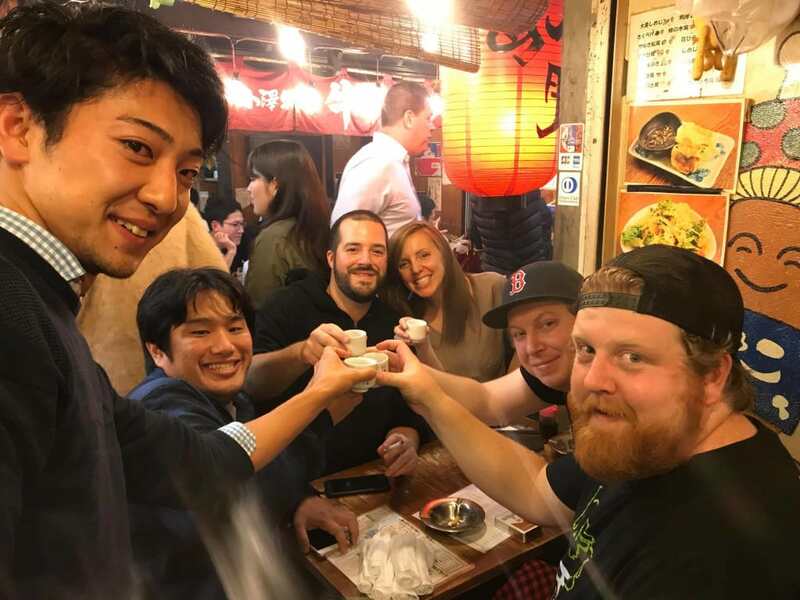 So it’s good place to do Tokyo Pub Crawl Tour. At night, Sinjuku is full of Japanese, foreigners from after work and tourists. Enjoy izakaya &bars then go to a ramen restaurant!